Dutch product designer Hella Jongerius and design theorist Louise Schouwenberg have been invited to develop a site-specific installation in the Paternoster Hall at the Pinakothek der Moderne. 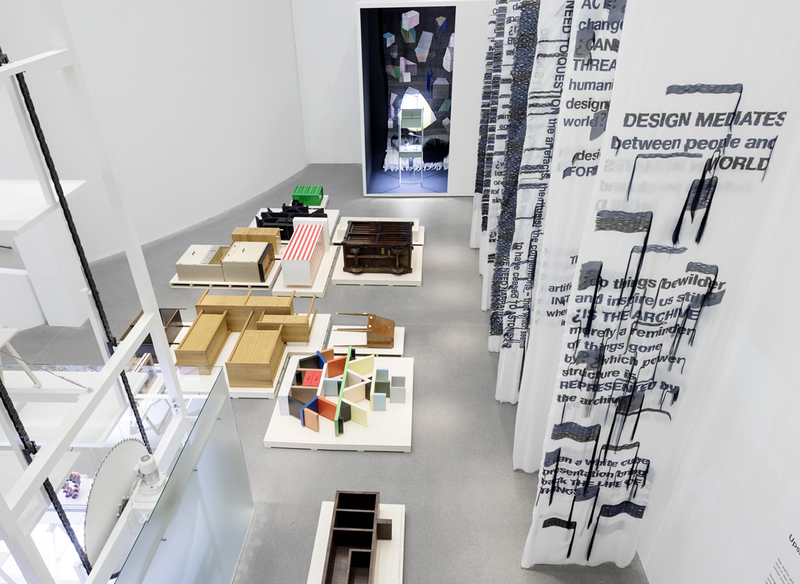 Since 2015 Die Neue Sammlung – The Design Museum has drawn attention to the architectural highlights of this two-storey space, largely defined by the constant movement of its two elevators, by using it to stage a series of exhibitions on a contemporary design position. Hella Jongerius has acquired an international reputation thanks to the unique way she combines a craft-led practice with contemporary industrial processes, and thanks to her distinct textile and colour designs. 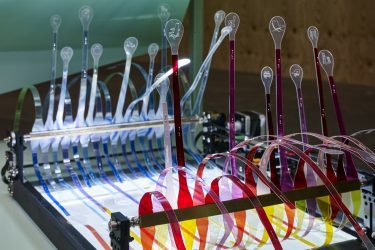 Louise Schouwenberg is an art and design theorist and leads the Master departmentContextual Design at the renowned Design Academy, Eindhoven. cultural aims of the museum? Can cultural innovation be found in a museum? “Yes and no”, say Jongerius and Schouwenberg. “On the one hand a museum is an ideal place for grasping the manifold cultural meanings that hide in a design. Here visitors can detect which items represented cultural innovation when they were conceived and which have retained significance ever since. On the other hand, one can question whether a museum is equally able to reveal the gap between a design as cultural artefact and a design as commercial commodity. 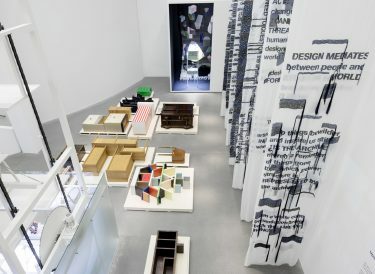 Moreover, one can question whether a museum can offer insight into design’s agency in the daily lives of people, now that the things are robbed of their use value.”The exhibition focuses on the aims of collecting and exhibiting in Die Neue Sammlung – The Design Museum against the background of the institution’s genesis and historical development. 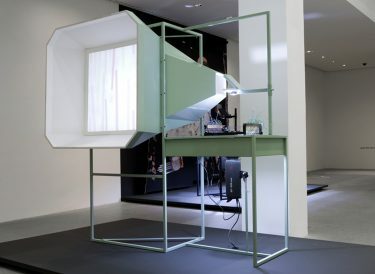 Various installations invite the visitors to reflect on how different contexts affect the appreciation of functional things. As Jongerius and Schouwenberg put it: “Designs are mediators between people and their surrounding world. Once you start to be aware of their enormous impact, you also start to recognize which designs represent more value and layers of meaning than others. The exhibition is accompanied by a publication Louise Schouwenberg & Hella Jongerius. Beyond the New. On the Agency of Things. Graphic design by Irma Boom; published by Koenig Books. Die Neue Sammlung is grateful for the generous support from the Kingdom of the Netherlands, from PIN. Friends of Pinakothek der Moderne and the financial support of the Creative Industries Fund NL (publication).